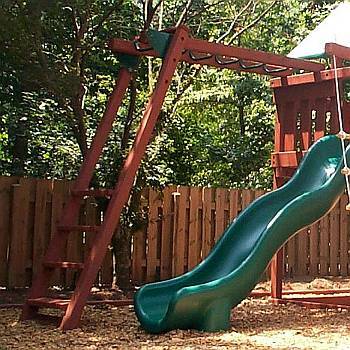 Add our unique Deluxe Monkey Bar Add On Kit to your wooden swing set and increase the fun. Our handles are easier to install and make the entire structure much stronger and safer than standard monkey bar rungs. 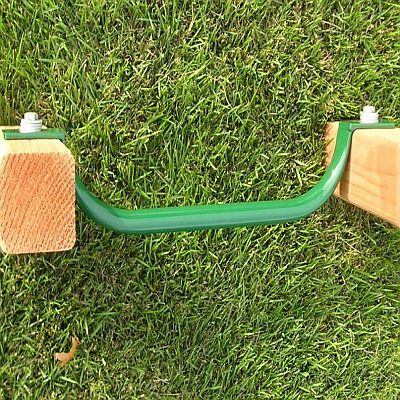 Kit includes everything you need to complete your Monkey Bars except the wood. *See Required Lumber Table below - The wood is NOT included. 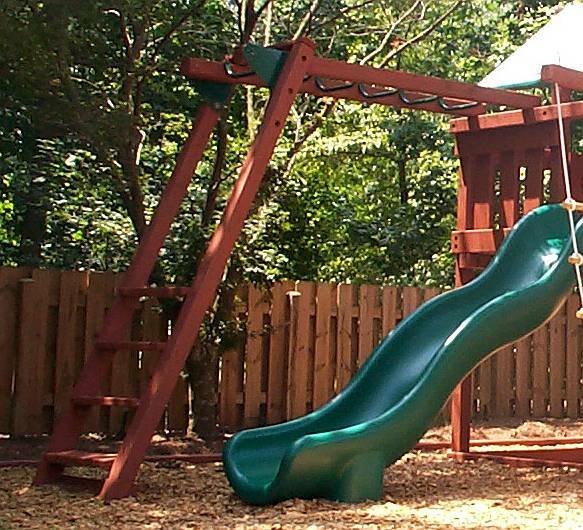 All bolt construction and 4 x 4 framing make these the strongest, sturdiest monkey bars on the market today. Powder coated ladder brackets insure the big kids can play too and our powder coated triangular 7 gauge plates make putting the monkey bars together easy. Comes with step-by-step instructions that are easy to read and follow including diagrams. You will not find it this easy anywhere else. Comes with 7 - 22 inch long 12 Gauge Steel Handles that are 1-1/2 inches wide. These handles bolt into both sides of the Monkey Bar Rails giving this Monkey Bar Kit more overall strength. They are much safer than round bars which and spin and allow your child to loose their grip. It also saves time over drilling holes for dowels. The inside measurement between the 4x4 beams using these handles is approximately 16-1/4 inches.